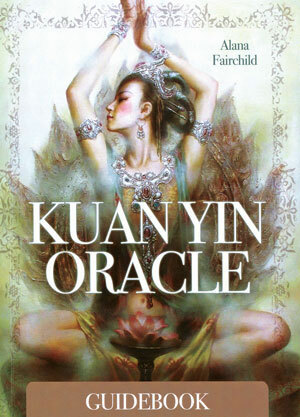 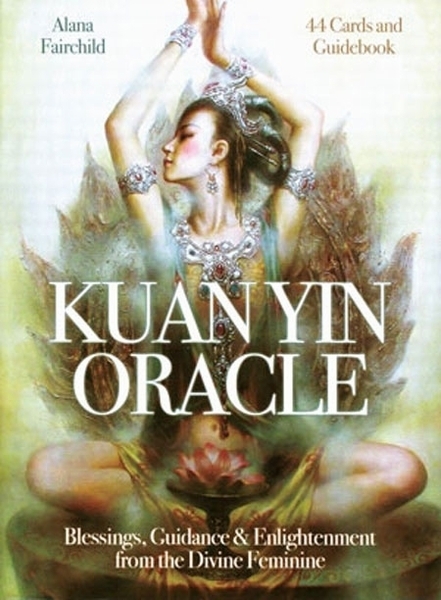 Inspired by the Buddhist Goddess of Mercy and Compassion, Kuan Yin Oracle guides you to a place of inner peace and beauty. 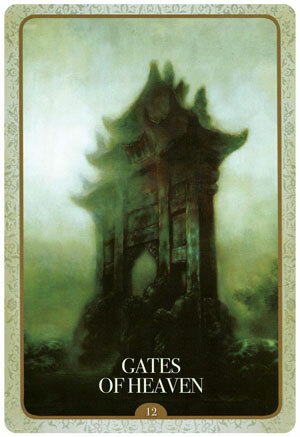 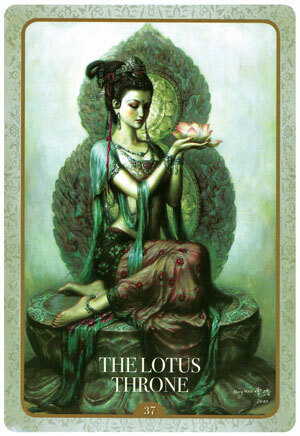 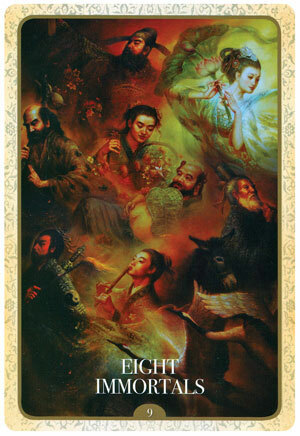 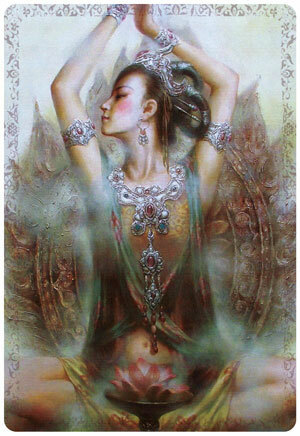 Kuan Yin's gentle energy reaches out to you from each of the 44 cards in this radiant deck. 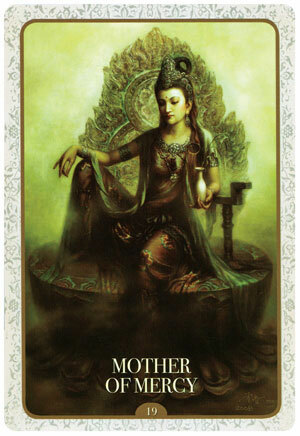 The messages contain her wisdom and provide a guiding presence to help you live an enlightened life. 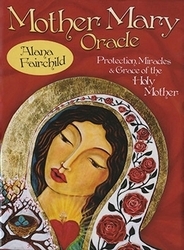 The 144 page illustrated guidebook provides inspirational messages, healing prayers, and practical exercises for each card. 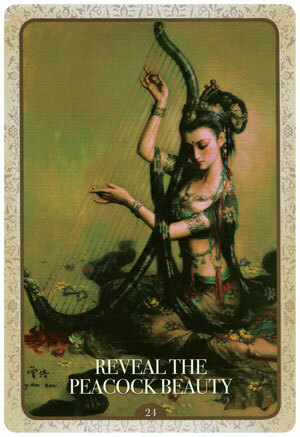 Zeng Hao, a highly acclaimed painter from the Sichuan city of Zigong, fuses classic and eastern ideals of beauty in the stunning goddess imagery he creates. 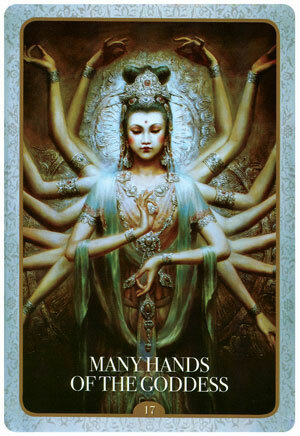 Guidebook measures approx. 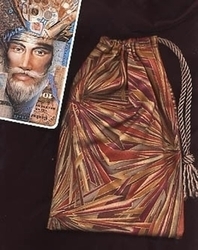 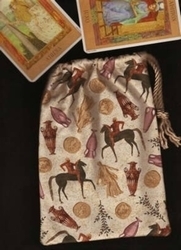 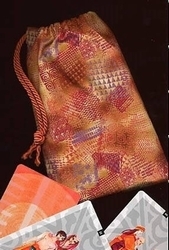 4-1/2" x 6-1/4"
Comes as a boxed set that measures 4-7/8" x 6-5/8"
Our Wide Card Bags are the perfect size to fit this deck of oracle cards and the accompanying guidebook.